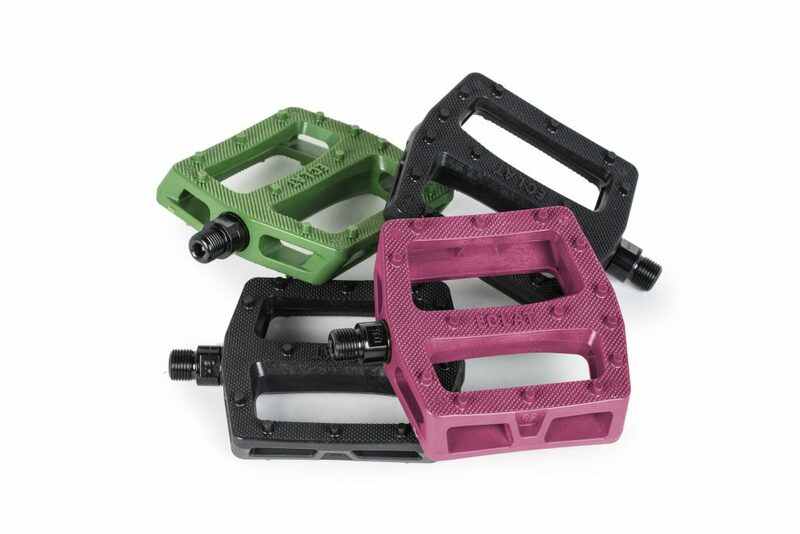 The Seeker Pedal was born out of desire and need. 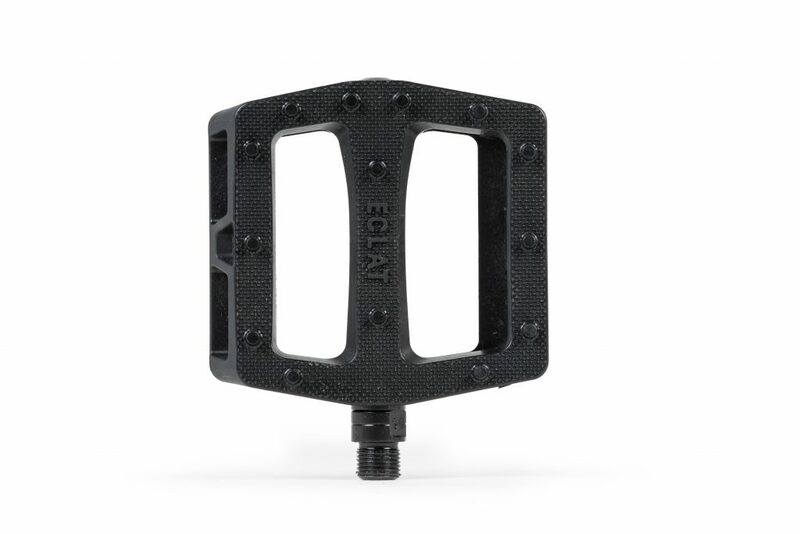 Eclat PRO riders like Devon Smillie and Shane Weston asked for a pedal with a larger platform than most, but with a slightly thinner profile. By using regular unsealed bearings you are limited with how thin you can actually make the pedal body without the bearing becoming too small in size, and in return, the axle gets thinner and weaker. To combat this issue we decided to take the battle proven dual bearing and bushing system that we used in the legendary Surge alloy pedal and apply it to a Nylon fiberglass body. 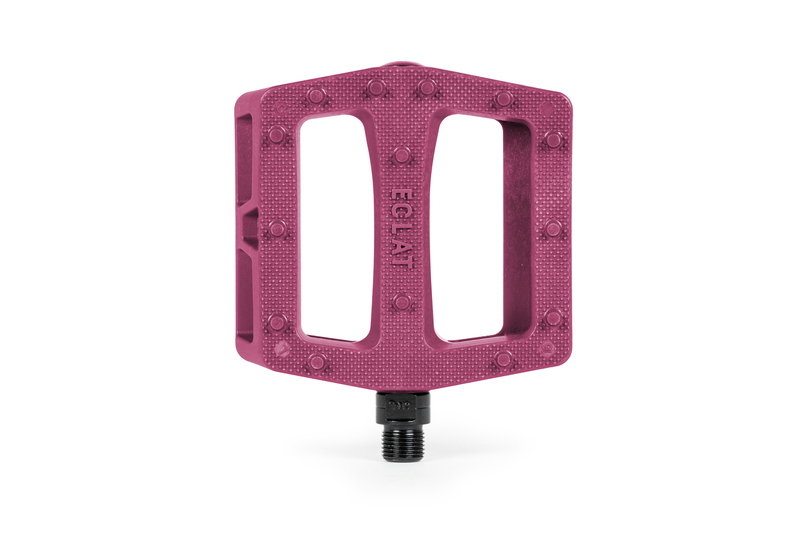 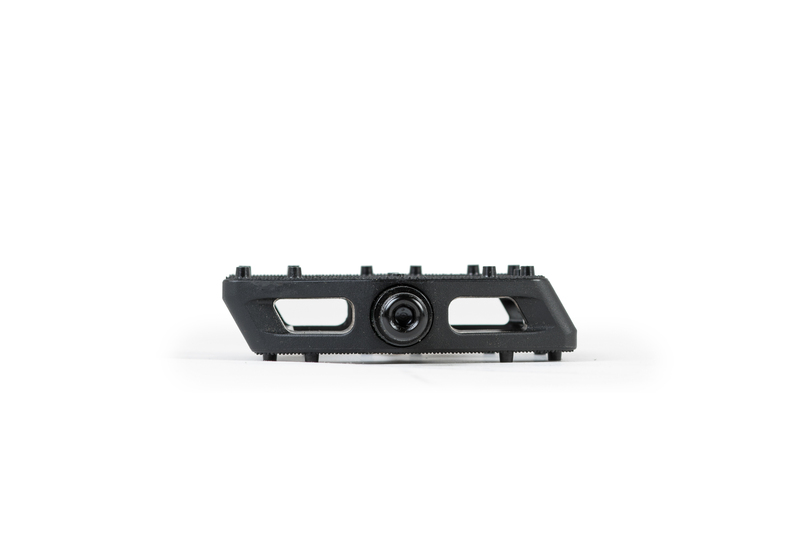 The end result is a pedal body that is not only thinner in profile than any of our other pedals, but also completely flat, without any kind of bump or raised section. 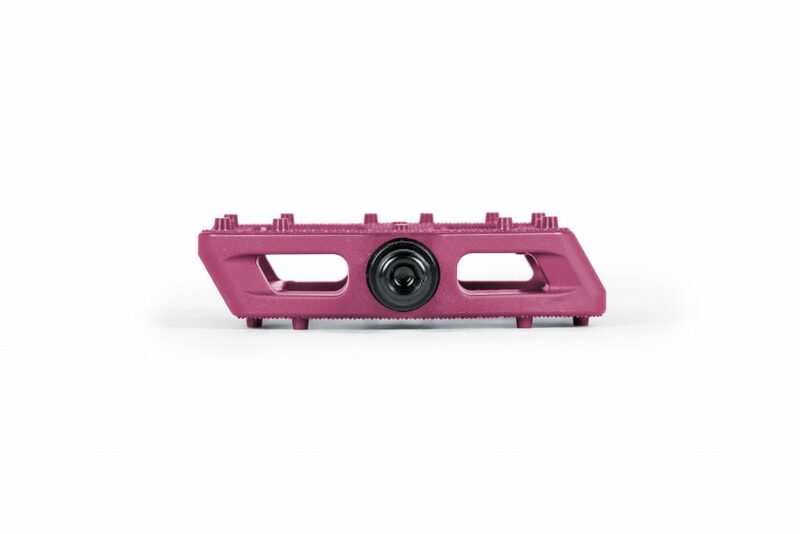 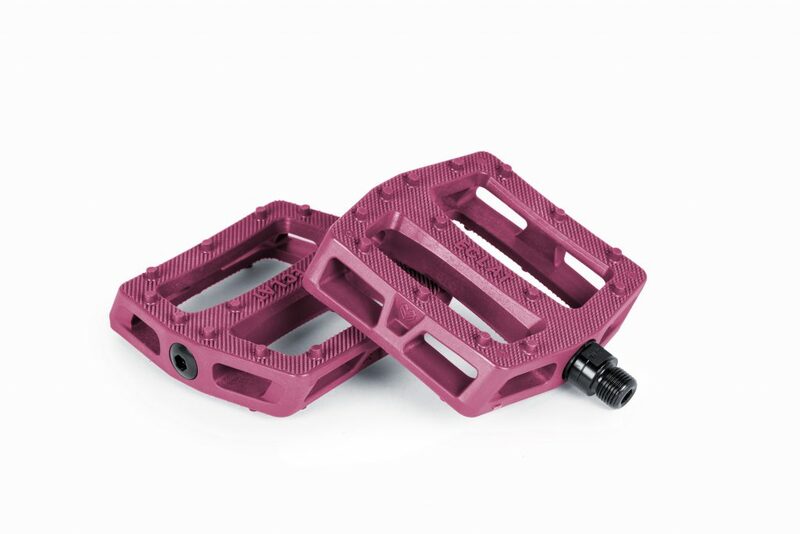 Combined with a larger overall surface area, a dual concave design, and a micro-knurled surface – this makes for one of our best feeling and most supportive pedals to date. 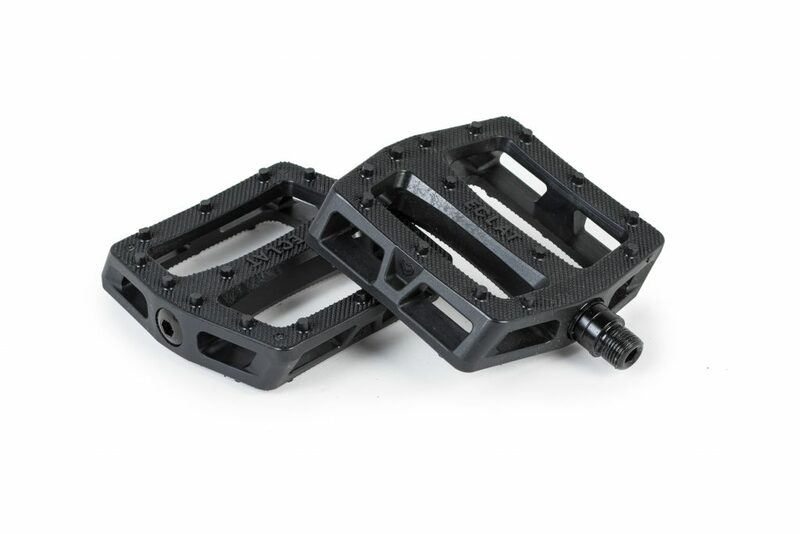 A larger pedal gives the foot more support, especially on tricks where your feet come off (i.e. tailwhips) and also on hard landings, since the load is more spread out and evenly distributed. 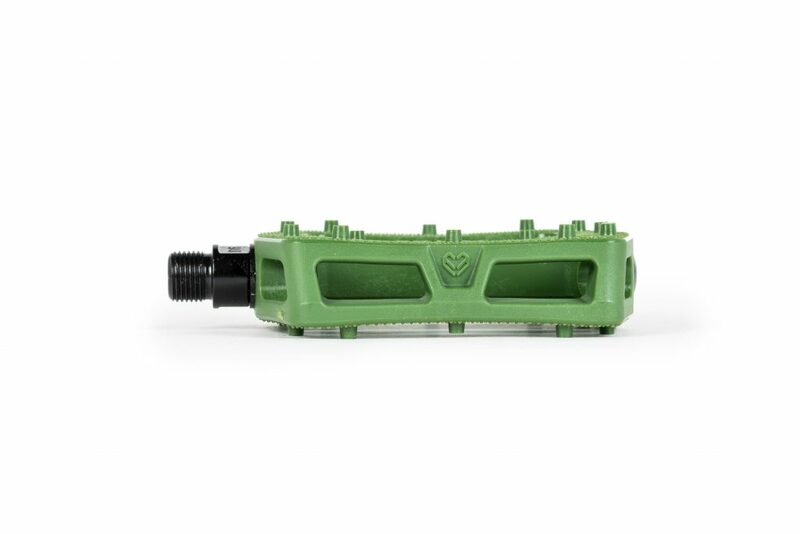 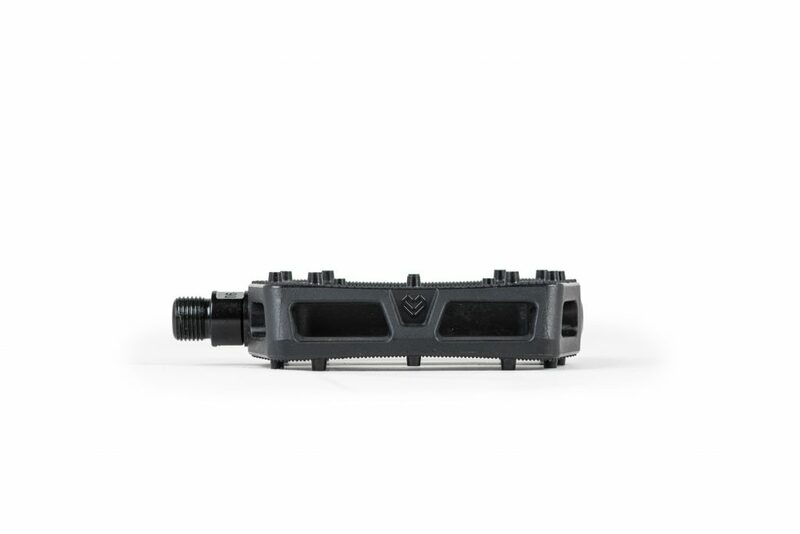 Using twin sealed bearings and a bushing for extra support, the Seeker pedal’s design allowed us to enlarge the size of the axle and make it stronger than your typical unsealed pedal, and also much smoother and longer lasting.